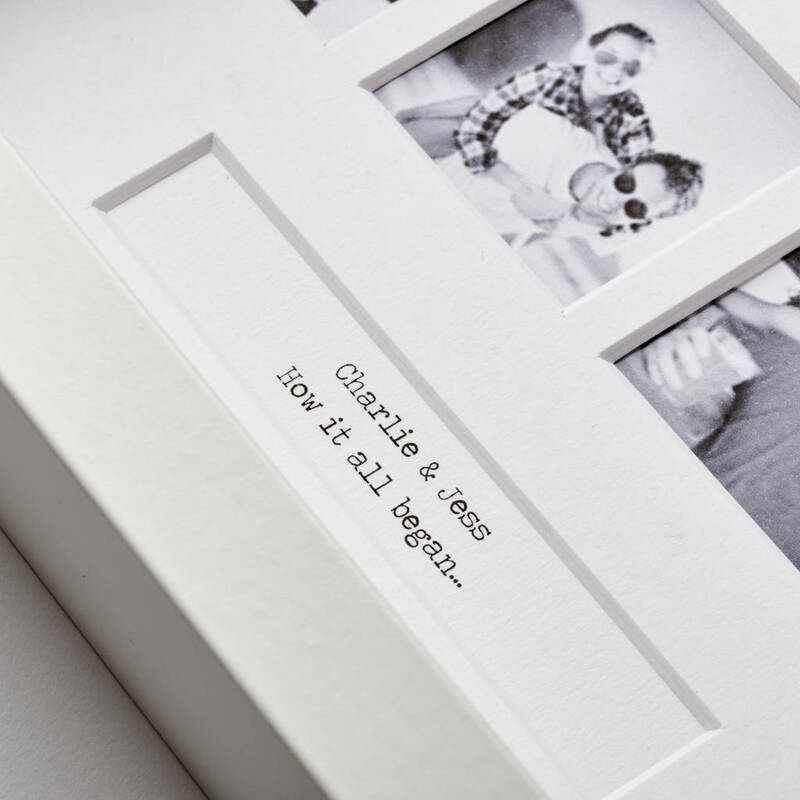 A beautiful Personalised Special Occasions Photo Frame to capture your unforgettable moments. 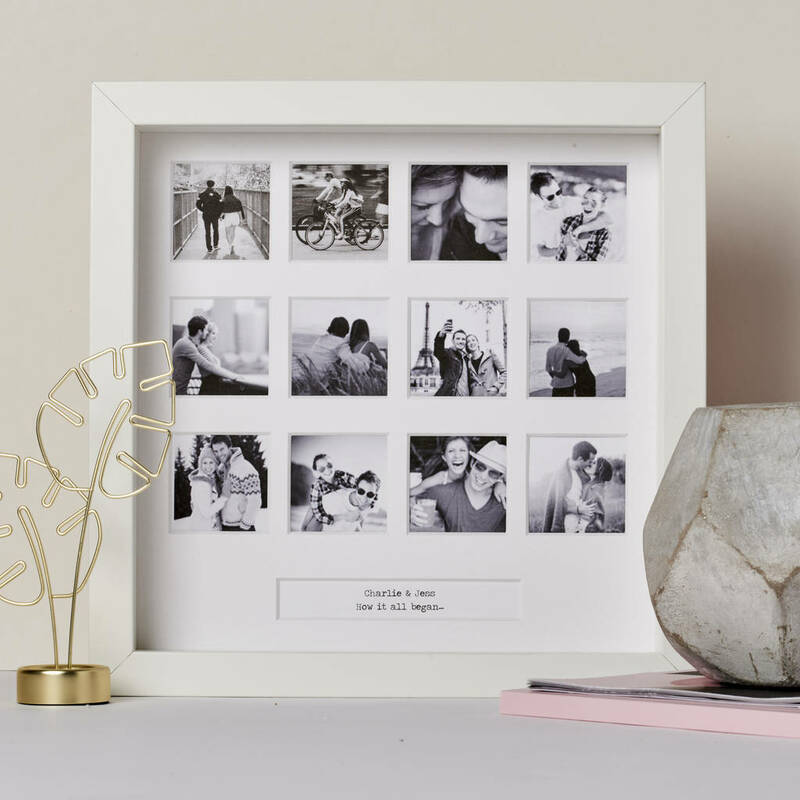 Don't let your special moments slip away, capture them in this unique frame and present as the perfect gift to mark an anniversary, wedding, Valentine's Day or birthday. 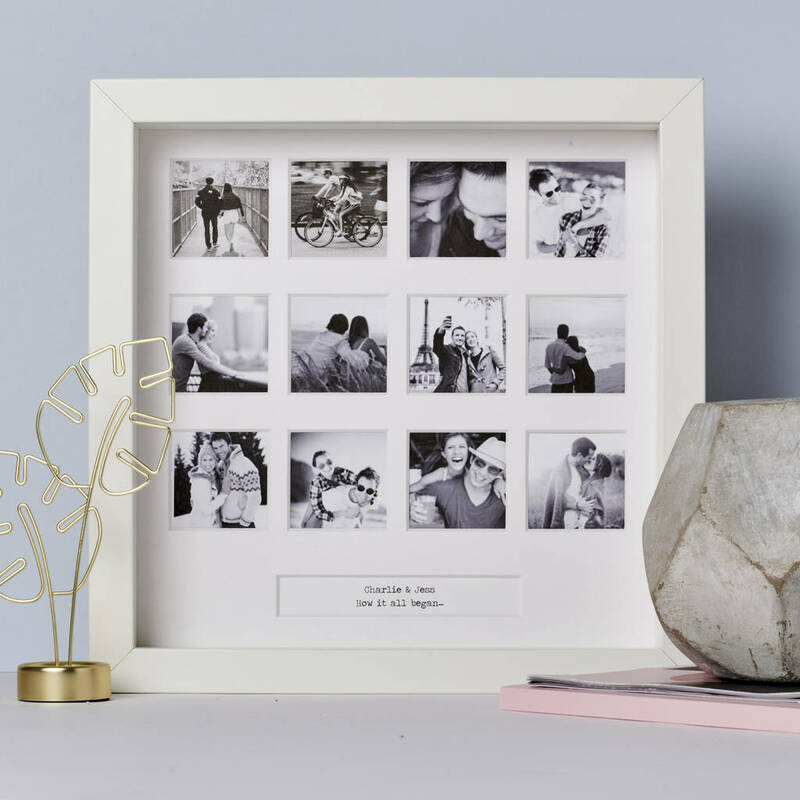 It has a simple, stylish design and the neutral white colour will fit in with any decor. 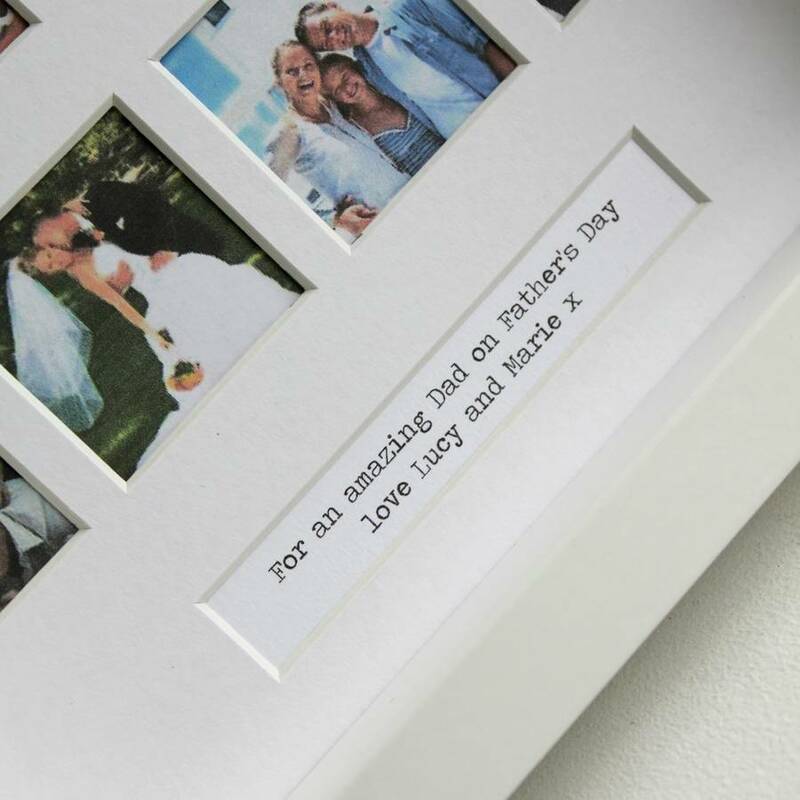 There are twelve square windows for you to place your favourite photographs and a text box beneath which we personalise with your message. The box frame means it can easily be hung on the wall or left free standing. The photograph windows are 4cm x 4cm. Frame 23cm x 23cm. Photograph windows 4cm x 4cm.